You will work in a cross-functional team with product owner, DevOps and other developers. Given the mix of capabilities in the team you will be fully responsible for the components you build - you will take them from design to production. In bi-weekly Scrum sprints your team moves fast and continuously improves itself. There will be lots of opportunities to interact, learn and develop yourself and your skills. Have we caught your interest? Please send your application documents including your earliest possible start date and salary expectations. It's all about the people. Work at plista. plista is a global platform for data-driven native advertising in premium editorial environments and offers advertisers and publishers direct, single-source access to a broad portfolio of native solutions. With its proprietary real-time Recommendation Technology, plista is able to deliver both content and advertising that matches users’ individual interests – across all channels and devices. plista’s native ad formats stand out through their strong engagement character and enable advertisers to efficiently target audiences along the entire sales funnel. At the same time, thousands of premium publishers are working successfully with plista in order to achieve outstanding content monetization, increased website stickiness and sustainable traffic growth. 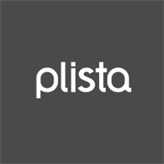 Want to get notified about new jobs at plista GmbH?